The Wetaskiwin Icemen are the 2017-18 CJHL League Champions! The icemen defeated the Warriors in 3 straight game in the best of 5 finals. That makes 2 in a row! Next up! Provincials in Fort St. John. Check out the story at the Wetaskiwin Times. Check out the full story at the Wetakiwin Times. Check out the Wetaskiwin Times for the full story. 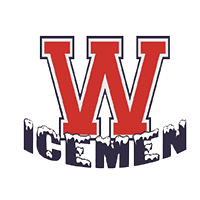 Dallas Fostey makes a save late in the third period to preserve the lead for the Icemen during Sunday afternoon�s tilt against the Stettler Lightning. "Kickoff Pizza Buffet and Social"
Wetaskiwin�s Brennan Hunker reaches for the puck during a preseason game against the Ponoka Stampeders Sept. 5. Saturday September 3 through the 5th. The Camp will be limited to 40-45 players including returnees, invitees and walk-ons. Registration will be Saturday morning with fitness testing to follow. An official weekend schedule will be available at a later date. please call coach Rob Hartnell 780-352-1211 or email rhartnell@adamsgm.com. 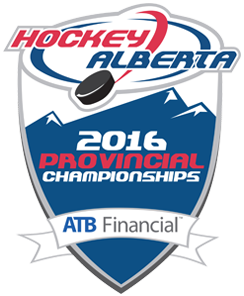 We also have a junior prep/conditioning camp the week of August 29 to Sept 2 from 8:30 to 9:30.
follow them at the Hockey Alberta website. On to the next round!! They advance to the finals against the Red Wings!! Check out the article in the Wetaskiwin Times E edition page 15. Check out the full story on at the Wetaskiwin Times. into the Wetaskiwin & County Sports Hall of Fame. Wetaskiwin & County Sports Hall of Fame. Tickets may be purchased from Wetaskiwin Credit Union. All inductees must confirm their attendance before March 11th. Icemen end regular season on a high note. Icemen Ben Fonteyne, Tanner Posch, and captain Ryley Bennefield represented the Icemen at the Capital Junior Hockey League�s all-star game in Fort Saskatchewan Jan. 16. Check out the full story in the wetaskiwin Times. Check out the full story at the Wetaskiwin Times web site. And of course all the Fans that tossed their bears out onto the ice! Montreal Canadiens Alumni Hockey Team to Wetaskiwin. We will be hosting a f\great day of hockey in our community. After the game a meet and greet VIP dinner at the Wayside Inn. "Rub Elbows" with the Legendary Montreal Canadiens Alumni. Discover how the Canadiens Alumni help make this event an unforgettable one. And it is a great fund raiser for a good cause. Check out the full story on the Wetaskiwin Times. Wetaskiwin Icemen take a moment to celebrate and present retiring players with Icemen rings. team ring to signify their completion of their junior hockey carers as Icemen. here in Wetaskiwin, Winning both the AMBL league championships & Bantam Provincial's. Icemen Home Opener Big WIN! Check out the complete article in the Wetaskiwin Times. $25 Pizza Buffet or $40 at the door. Check out the Mission statement tab on the left for a message from Coach Hartnell.